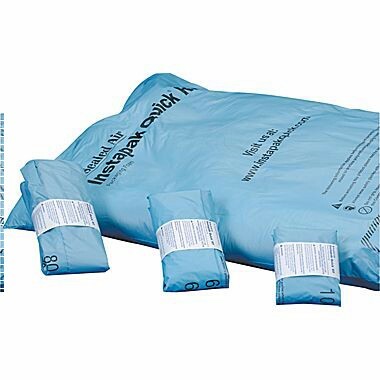 Instapak® Quick™ RT Foam Packaging Innovative, Highly Protective Packaging With No Start-Up Costs Instapak® Quick™ RT Packaging: All the cost-saving benefits and proven performance of Instapak® foam packaging without the need for equipment. Instapak® Quick™ RT Packaging: All the cost-saving benefits and proven performance of Instapak® foam packaging without the need for equipment. Easy-to-Use - Anyone can become a packaging expert – instantly. Superior Product Protection - Virtually eliminate shipping damage. No Start Up Costs - No dispensing system or warming unit needed. Versatile - Protects products of almost any size, shape and weight. Fast - Expands in seconds to form custom-fit protective foam cushions cushions. Convenient - Takes up little space and is completely mobile so you can use it anywhere. Customer Satisfaction - Product arrives in a neat professional package. Quick™ RT provides general duty cushioning and light blocking and bracing for products of all different sizes and weights. It is designed to work across a wide range of applications. For heavier products, Quick Tuff™ RT offers the maximum protection and expands the versatility while enhancing the performance of the Quick™ packaging process.